Since I am on the losing weight bandwagon after having our baby, the people at Weight Watchers sent me some cheeses and asked if I could come up with some recipes. Last time I shared a new favorite low calorie snack (see here) and today it is a cold snowy day, so a grilled cheese sandwich and tomato soup fit the ticket. Instead of over indulging on calories which is easy to do during the winter, Weight Watchers is a good choice for nice flavor without a lot of calories. Today I tried the Mexican Style blend on some whole wheat bread and put in right into the panini grill. The Mexican cheese is made from 2% milk was 80 calories for 1/3 cup so you really can't go too wrong. It was yummy! What do you put on your grilled cheese sandwich? I add dijon mustard its make the taste experience just pop! i love grilled cheese and tomato bisque and when you make it at home you can control what goes into it. so satisfying and doesn't have to be sinful. so funny, i made a panini for lunch yesterday too. i used smoked gouda. but, i am also always a fan of havarti. I always love pesto on my paninis. Mmmm sounds delicious! 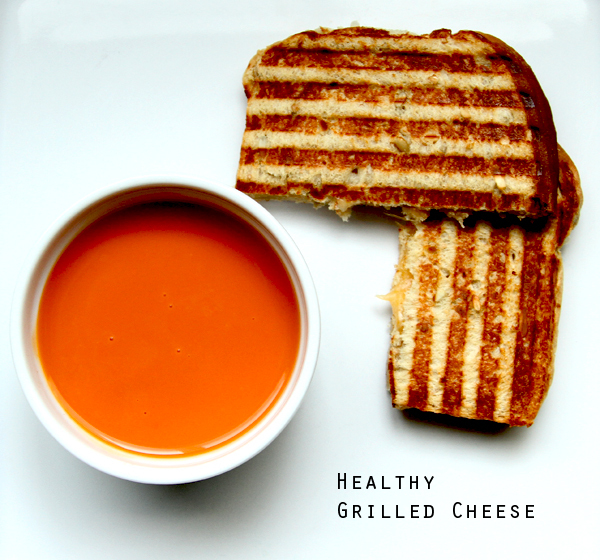 I love grilled cheese, especially with tons of veggies on top, especially tomato and roasted red pepper! yum, i know what im having for dinner! Ruebens! They are so good, you put some organic lunch meat, with a little lite mayo and lite cheese and pickle or saurkraut-- and grill it! amazing! Yum, that does sound good! I made a grilled cheese recently with pear, brie and some grainy dijon. Pear and Brie, that sounds great. This looks delicious - I might have to make some tomato soup tomorrow for lunch! Yum. Grilled cheese sounds so good right now. I love mixing cheeses, adding dijon mustard,mild green chilies, and tomatoes. ughhh i haven't had a grilled cheese in forever. my mom always made the best. maybe i'll give it a go. Oh I love a simple pesto and mozzarella panini.Feeling a little hungry now. I love adding dijon mustard and thin slices of apple and prosciutto to brie made on the panini... yum! I love to add sun-dried tomatoes!! Looks great, but you're on a losing weight bandwagon, not a loosing one. Cheddar and mango chutney on a nutty whole grain bread. Mmmm. Not especially healthy, but delicious. Oh my GOSH that looks amazing! I love grilled cheese with tomato soup. The lines on that sandwich are so perfect! So sad I missed meeting you at Alt! yum, that sounds so good! I like to add a bit of tuna to my grilled cheese sandwiches! you make losing weight look so delish! Oh my, there is just nothing like a grilled cheese sandwich! I like to put either pesto or dijon mustard, depending on what cheese is inside. What I LOVE to do as I'm grilling it is first putting some grated Asiago on the pan, then cooking the sandwich on top of that. As it melts, it creates a slightly crunchy, cheesy crust on the outside of the bread! i like to add cayenne pepper to the soup...not only does it taste better but the spice factor kicks your metabolism into high gear. double points!